We have a few new details on Konami’s Metal Gear Arcade, which we reported just a couple of days ago would be getting a location test this week. The most significant change to the game since it was last seen would be the option that dictates how the player moves their perspective around. 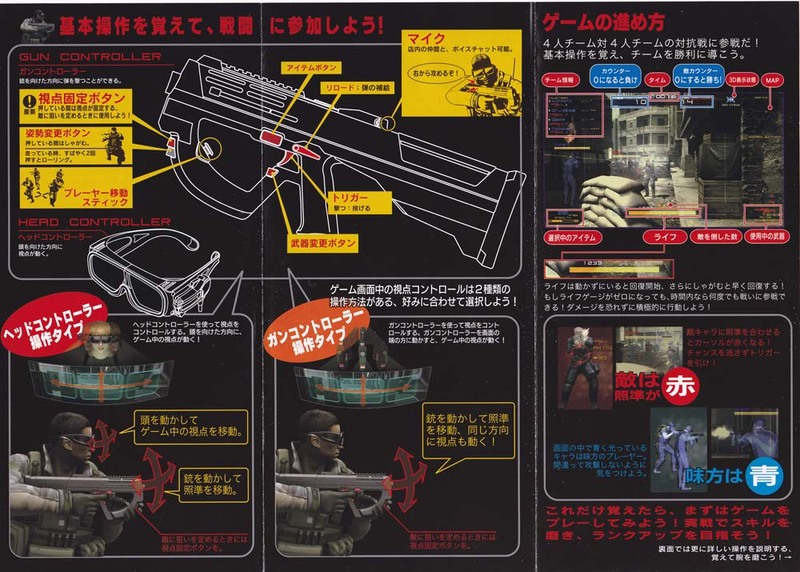 You can pick from either the glasses or the gun, with it working out similarly to first-person titles on the Wii, where the view begins to move once the reticule passes a certain, preset boundary. Stages change after a certain amount of time passes and when a player unlocks new ranks they can play on new stages. Small Room Aries has scans of the pamphlets explaining how the game works out in greater detail (in Japanese) and we also have a couple of short videos from the location test below. We’re still not quite sure when this may get a test outside of Japan (as it was originally announced to be a worldwide release) but I have heard of the possibility of the game showing up at IAAPA in November. Of course with as complex as this looks and as expensive as it will likely be that makes it harder to sell but at the same time I’d like to see it do well as it’s unique amongst other titles out there right now. 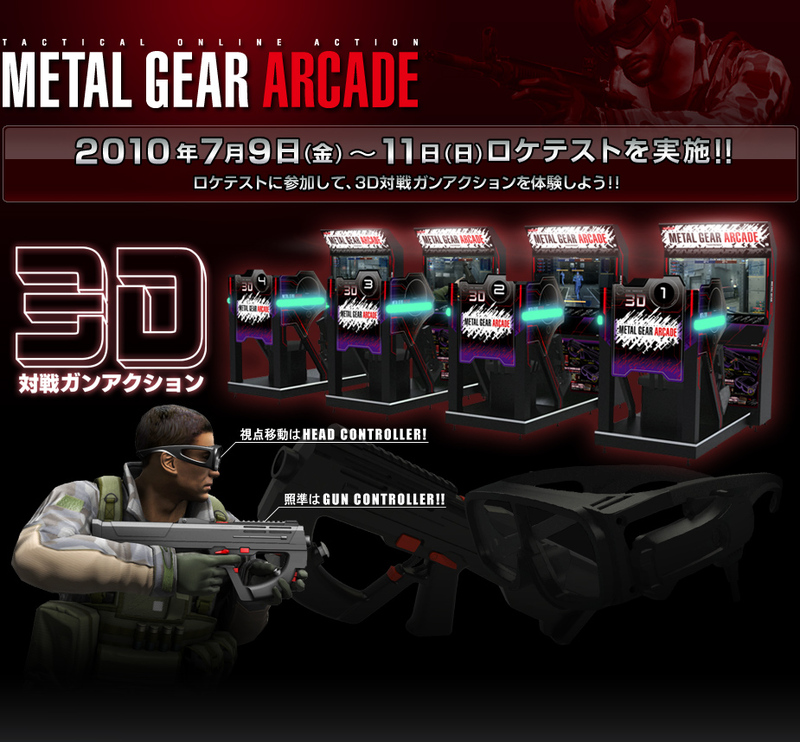 We haven’t heard much about Konami’s Metal Gear Arcade since AOU2010 but next week players in Tokyo, Japan will have a chance to play the game as it’s on location test. From the official page for the game it appears that there are some changes made to the game since AOU – namely cabinet aesthetics and the 3D glasses are less bulky. It’s hard to say how much the game itself will have changed (the small screenshots on the site look sleek at least). It should also be noted that Konami has been testing out another stereoscopic 3D game, RoadFighters, extensively as of late and there are two more tests planned for next week. I imagine that once MGA starts getting as many location tests as Roadfighters then it won’t be far off from a release. 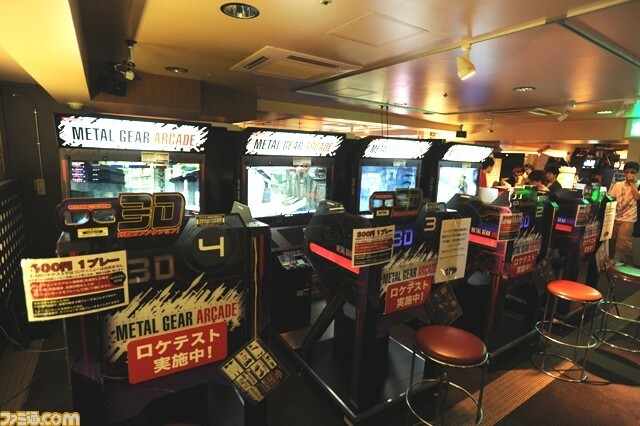 Here’s another in-depth video of how Metal Gear Arcade works via Diginfo.tv(perhaps the last one we’ll link to for a while unless something drastic and different comes along). I can see where this will take some getting used to with the head controls working the way that they do but with some extra tuning to go into the game, it’s best to withhold judgement on how that will work out in practice. 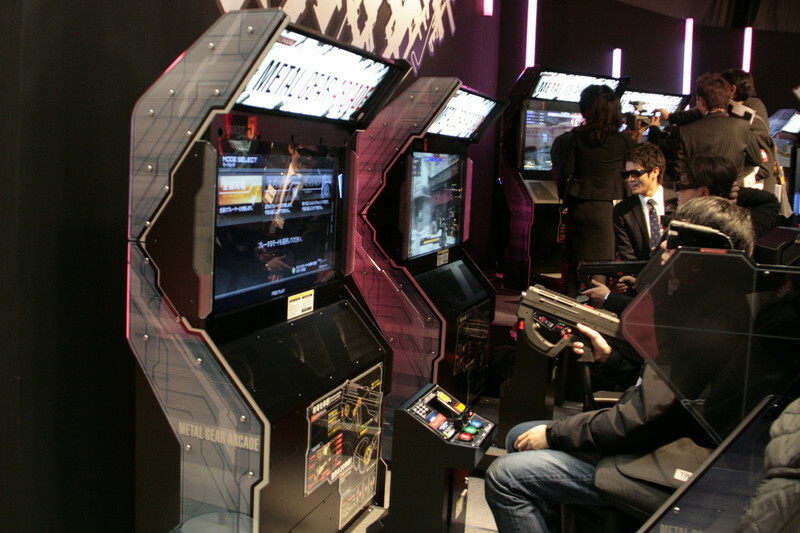 Still, it’s great to see the attention that MGA is bringing to arcades, I just hope it spills over to some other games that are out there too, but my hopes are probably too high there. Here’s a rundown of the AOU news and info for today, complete with videos. 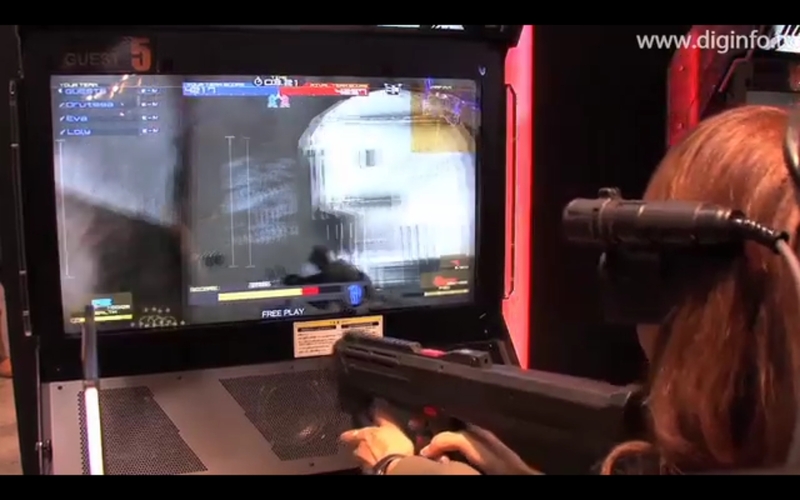 Metal Gear Arcade in action.The videos below by Gigazine show how the glasses work. Project Diva Arcade. This runs on Ringedge BTW. Gigazine also has a bunch of write-ups discussing the show, which you can check out here. Here is a link to the Japanese flyer for Terminator Salvation, via AM-Net. 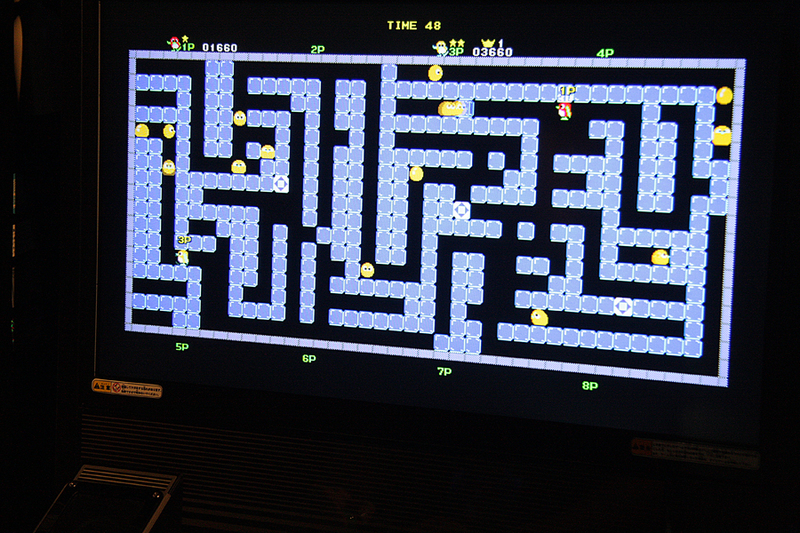 Here’s a Game Watch article detailing a few more things, with pics of people playing Metal GearArcade, Gaia Attack 4 and Terminator. 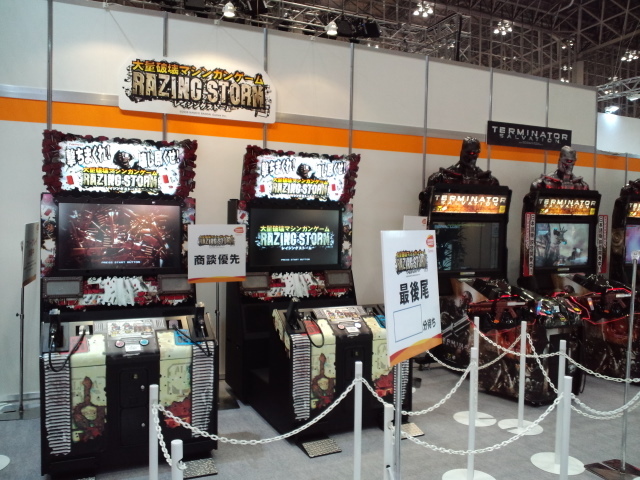 Here’s Famitsu’s look at the show, they have pics of Jubeat Knit and more Konami stuff. I wonder if media outside Japan will at least note the game which will be available outside of Japan, like Terminator, Tank! Tank! Tank! and Dead Storm Pirates but my hopes aren’t very high on that. News is starting to pour out of AOU 2010 in Japan and here’s a quick rundown of what we’re getting. Konami also has revealed a new horse racing game called GI-Turf TV. IT looks pretty interesting and it’s a huge setup. You can see more here. Sega has announced a new version of Virtua Fighter 5R for arcades called Virtua Fighter 5R Final Showdown. They have also released a trailer for the game which you can download here. The official site for the new Gundam VS. arcade game has also been updated with new information about this game. Of the three games mentioned in this post, I’d say that Gundam is the least likely one you’ll see outside of Japan. You can visit that site here. Also, AM-Net has pictures of an SD version of Razing Storm, next to Terminator Salvation (which will be released in the summer in Japan). No word on the price difference of Razing Storm standard yet.